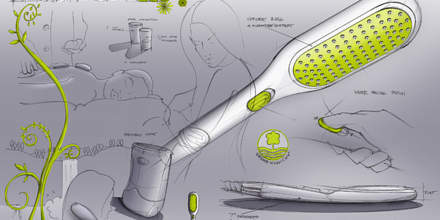 Our collection of head showers, hand showers and side showers combine award-winning design with the latest technology and first-class materials. 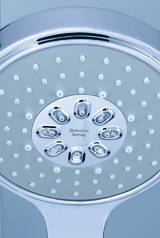 GROHE WaterCare showers illustrate our commitment to the environment and encourage daily water saving. Make a statement with one of our designer hand showers. 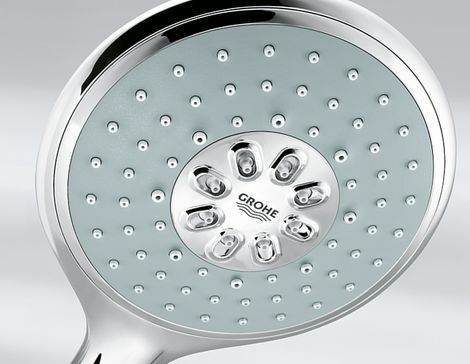 Experience a GROHE shower now. 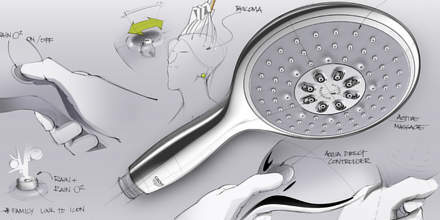 Colored hand-held showers in our GROHE Rainshower® Color Collection. 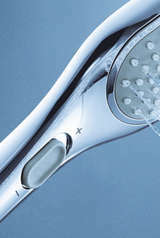 6 1/4" inch wide hand held showers with a choice of four spray patterns in our Rainshower® Cosmopolitan and Rainshower® Classic collections.